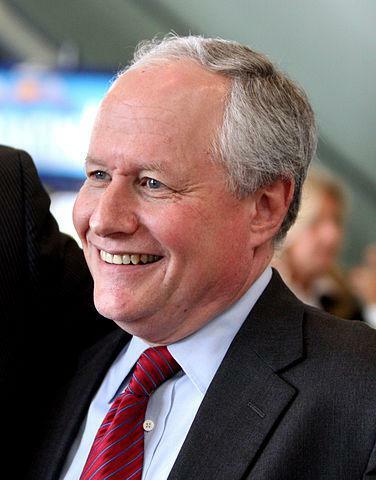 Bill Kristol: "Bla bla Hitler bla bla Chamberlain bla bla Churchill." When Netanyahu walks to the podium of the House of Representatives on March 3, he’ll undoubtedly have in mind an earlier speech given by a foreign leader to a joint meeting of Congress. On December 26, 1941, Winston Churchill addressed Congress, though in the smaller Senate Chamber rather than in the House, as so many members were out of town for Christmas break. 53. George W. Bush’s election triumph. You know how when Bugs Bunny gets hungry whatever he’s looking at will turn into a delicious, juicy hamburger? Bill Kristol’s view of the world is apparently like that except with a delicious, juicy Winston Churchill.